[S1090] Ann Marcy, electronic mail to Roger Bartlett, 17 Jun 2006 (naming Halkert Alford Halbert as her father). [S1090] Ann Marcy, electronic mail to Roger Bartlett, 17 Jun 2006 (naming Mary Pauline Cravens as her mother). [S498] Vena Bob Gates, Julie Terry, & Ralph Terry, comps., Coleman County Cemetery Inscriptions, vol. 1 (Coleman, Tex. : Terry Studio, 1988), p. 120. [S1090] Ann Marcy, electronic mail to Roger Bartlett, 17 Jun 2006 (giving his name as Wellie Gober and not giving the date or place). [S498] Vena Bob Gates, Julie Terry, & Ralph Terry, comps., Coleman County Cemetery Inscriptions, vol. 1 (Coleman, Tex. : Terry Studio, 1988), p. 95. [S67] The Dallas Morning News, Dallas, Tex., 11 Mar 1949, sec. II, p. 22 (obituary of Garland Woodward) (naming the late Judge J. O. Woodward as his father). [S67] The Dallas Morning News, Dallas, Tex., 11 Mar 1949, sec. II, p. 22 (obituary of Garland Woodward). [S498] Vena Bob Gates, Julie Terry, & Ralph Terry, comps., Coleman County Cemetery Inscriptions, vol. 1 (Coleman, Tex. : Terry Studio, 1988), p. 95 (giving the date but not the place). [S961] Find A Grave, online at http://www.findagrave.com, memorial for Garland A. Woodward, memorial no. 67255728, viewed on 17 Sep 2011. [S1090] Ann Marcy, electronic mail to Roger Bartlett, 17 Jun 2006 (naming James Smart as her father). [S1090] Ann Marcy, electronic mail to Roger Bartlett, 17 Jun 2006 (naming Julia Fortson as her mother). [S15] Navarro County, Texas Marriages, vol. 2, 1889-1899 (Corsicana, Tex. : The Navarro County Gen. Soc'y, 1987), p. 108 (citing Navarro County, Texas Marriage Records, vol. VI, p. 124). [S1090] Ann Marcy, electronic mail to Roger Bartlett, 17 Jun 2006 (naming James Smart as his father). [S1090] Ann Marcy, electronic mail to Roger Bartlett, 17 Jun 2006 (naming Julia Fortson as his mother). Death*: He died before 1945. [S1077] 1930 U.S. Census, Hale County, Tex., City of Plainview, sheet 13B, line 99, and sheet 14A, line 1 (naming Lucien J. Halbert as his father). [S1077] 1930 U.S. Census, Hale County, Tex., City of Plainview, sheet 14A, line 1 (giving his name as Lucien J. Halbert, Jr. and stating that he was nineteen years old and was born in Texas). Other Names*: Halbert Owen Woodward, Halbert Woodward, Hal Woodward. Note*: • He graduated from high school in Big Spring, Texas and earned a bachelor's of business administration degree and a law degree from the University of Texas. After Navy service, he took over his father's law firm in Coleman, Texas, where he practiced until 1968. He was a member of the Texas Highway Commission from 1958 to 1968 and was chairman of the commission from 1967 to 1968. President Lyndon B. Johnson named him U.S. district judge for the Northern District of Texas in 1968. He was chief judge of the district from May 1977 until January 1987, then served on the judicial panel on multidistrict litigation. His son said, "He truly believed, and I think it was based on his faith, that all people are created equal, so he treated everyone fairly and with respect. And that combination resulted in a court operating with great dignity where everyone had an opportunity to be heard." received the Texas Tech University College of Education Friend of Education award and the Texas Bar Foundation Outstanding Jurist Award. He served on the Lubbock Methodist Hospital System Board of Trustees. A former president of the South Plains Council of the Boy Scouts of America, he was a recipient of the Distinguished Eagle Scout Award and the Silver Beaver Award, a recognition given to volunteers. He was survived by his wife, two sons, a brother, and five grandchildren. • He received his B.B.A. degree from the University of Texas in 1940 and his LL.B. from the University of Texas School of Law the same year. • He was a hearing examiner with the Texas Employment Commission in 1940-1941; was employed by Humble Oil and Refining Company as a title examiner in 1941-1942 and land and title supervisor in 1945-1949; was a lieutenant in the U.S. Navy in 1942-1945; practiced law in Coleman, Texas in 1949-1968; and was a member of the Texas Highway Commission in 1959-1968, including serving as chair in 1967-1968. • He was a federal district judge for the Northern District of Texas, nominated by President Lyndon Johnson, from 1968 to 1986 and served in senior status from late 1986 to his death in 2000. He was a member of the U.S. Judicial Panel on Multidistrict Litigation from 1989 to 1992. [S976] The Dallas Morning News, Dallas, Tex., online at http://www.dallasnews.com, 11 Oct 2000, 3rd ed., p. 23A, viewed on 8 Jul 2006 (obituary of Halbert Woodward) (giving the year and place). [S961] Find A Grave, online at http://www.findagrave.com, memorial for Halbert Owen Woodward, memorial no. 38642551, viewed on 17 Sep 2011 (giving the date but not the place). [S976] The Dallas Morning News, Dallas, Tex., online at http://www.dallasnews.com, 11 Oct 2000, 3rd ed., p. 23A, viewed on 8 Jul 2006 (obituary of Halbert Woodward) (giving the year but no other information). 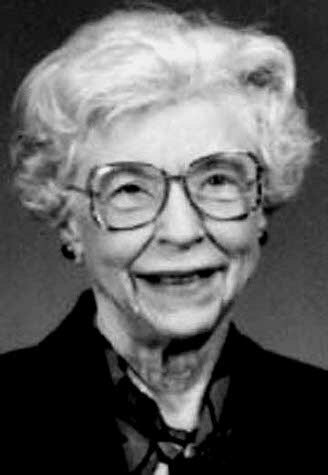 [S1092] Abilene Reporter-News, Abilene, Tex., 28 Oct 2004 (obituary of Lenora Dawn Blair Woodward). [S1085] Lubbock Avalanche-Journal, Lubbock, Tex., 28 Oct 2004 (obituary of Lenora Dawn Blair Woodward). [S976] The Dallas Morning News, Dallas, Tex., online at http://www.dallasnews.com, 11 Oct 2000, 3rd ed., p. 23A, viewed on 8 Jul 2006 (obituary of Halbert Woodward). [S961] Find A Grave, online, above, memorial for Halbert Owen Woodward, memorial no. 38642551, viewed on 17 Sep 2011. [S976] The Dallas Morning News, Dallas, Tex., online at http://www.dallasnews.com, 11 Oct 2000, 3rd ed., p. 23A, viewed on 8 Jul 2006 (obituary of Halbert Woodward) (first bullet). [S1563] Biographical outline for Halbert Owen Woodward, Federal Judicial Center, online, above (second bullet). [S1563] Biographical outline for Halbert Owen Woodward, Federal Judicial Center, online, above (third bullet). [S1563] Biographical outline for Halbert Owen Woodward, Federal Judicial Center, online, above (fourth bullet). [S1563] Biographical outline for Halbert Owen Woodward, Federal Judicial Center, online, above (fifth bullet). Lenora Dawn Blair Woodward. Image provided by Ralph Terry, Coleman, Tex. Other Names*: Dawn Blair, Lenora Dawn Blair Woodward, Lenora Blair Woodward, Lenora Dawn Woodward, Lenora Woodward, Dawn Woodward. [S961] Find A Grave, online at http://www.findagrave.com, memorial for Lenora Dawn Blair Woodward, memorial no. 71912962, viewed on 17 Sep 2011. 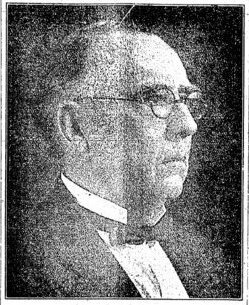 Judge Jesse Owen Woodward. Image provided by Ralph Terry, Coleman, Tex. • His memorial on Find A Grave, which includes news clippings, is here. [S498] Vena Bob Gates, Julie Terry, & Ralph Terry, comps., Coleman County Cemetery Inscriptions, vol. 1 (Coleman, Tex. : Terry Studio, 1988), p. 94 (giving the year but not the place). [S961] Find A Grave, online at http://www.findagrave.com, memorial for Judge Jesse Owen Woodward, memorial no. 29545852, viewed on 17 Sep 2011. [S961] Find A Grave, online, above, memorial for Frances Elizabeth ('Fannie') Dillard Woodward, memorial no. 67255350, viewed on 17 Sep 2011 (not giving the date). [S498] Vena Bob Gates, Julie Terry, & Ralph Terry, comps., Coleman County Cemetery Inscriptions, vol. 1, above, p. 94 (giving the year but no other information). [S961] Find A Grave, online, above, memorial for Judge Jesse Owen Woodward, memorial no. 29545852, viewed on 17 Sep 2011 (stating that he died at 6:00 a.m. after an illness of several months). [S498] Vena Bob Gates, Julie Terry, & Ralph Terry, comps., Coleman County Cemetery Inscriptions, vol. 1, above, p. 94. Other Names*: Fannie Dillard, Frances Elizabeth Dillard Woodward, Frances Elizabeth Woodward, Fannie Woodward. • Her memorial on Find A Grave, which includes a picture of her grave marker, is here. [S961] Find A Grave, online at http://www.findagrave.com, memorial for Frances Elizabeth ('Fannie') Dillard Woodward, memorial no. 67255350, viewed on 17 Sep 2011. [S961] Find A Grave, online, above, memorial for Judge Jesse Owen Woodward, memorial no. 29545852, viewed on 17 Sep 2011. Marriage*: She married _____ Boucher. [S961] Find A Grave, online at http://www.findagrave.com, memorial for Rowena Benton Hill Ramsey, memorial no. 102638305, viewed on 10 Aug 2017. [S1177] Ancestry of Ramsey Clark, online http://www.wargs.com/political/clarkr.html, viewed on 8 Mar 2008. [S1177] Ancestry of Ramsey Clark, online, above, viewed on 8 Mar 2008 (naming Rowena Hill as her mother). [S1095] Murrell Peeples, electronic mail to Roger Bartlett, 15 Jul 2006. [S1095] Murrell Peeples, electronic mail to Roger Bartlett, 15 Jul 2006, (naming Rev. William David Haste as her father). [S1095] Murrell Peeples, electronic mail to Roger Bartlett, 15 Jul 2006, (naming Angline Hendrix as her mother). [S1096] Riverside Cemetery, Greer County, Oklahoma, online http://www.rootsweb.com/%7Eokgcghs/riversda.html, (spelling her first name as Bertha). [S1095] Murrell Peeples, electronic mail to Roger Bartlett, 15 Jul 2006, (naming Rev. William David Haste as his father). [S1095] Murrell Peeples, electronic mail to Roger Bartlett, 15 Jul 2006, (naming Angline Hendrix as his mother). [S1095] Murrell Peeples, electronic mail to Roger Bartlett, 15 Jul 2006, (naming Olin F. Train as his father). [S1095] Murrell Peeples, electronic mail to Roger Bartlett, 15 Jul 2006, (naming Willie Gadara Haste as his mother). [S1096] Riverside Cemetery, Greer County, Oklahoma, online http://www.rootsweb.com/%7Eokgcghs/riversda.html, (giving only the year and not naming the place). [S1096] Riverside Cemetery, Greer County, Oklahoma, online, above, (giving his name as Roy Train). [S1096] Riverside Cemetery, Greer County, Oklahoma, online, above.